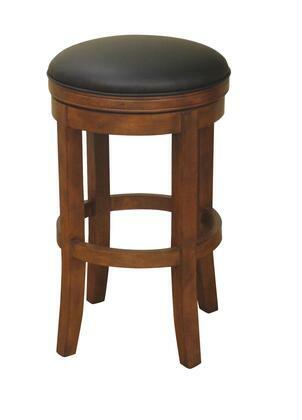 Give a dash of traditional style to your bar or counter top with the American Heritage Winston Leather Bar Stool. A lovely amaretto finish truly sets off the simple yet stylish design of the stool, and a comfortable black leather cushion contrasts beautifully with the finish of the base. 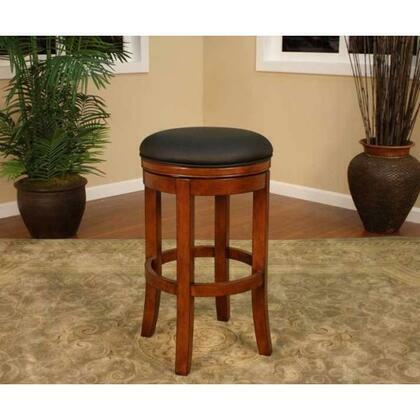 For added convenience and comfort, the stool features floor glides and a full 360 degree swivel.